Few dogs are comfortable during times when fireworks are going off, and even fewer see them as a cause to celebrate. Festive seasons with the accompanying fireworks can be extremely traumatic for dogs and other pets. 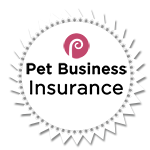 Owners need to plan ahead to keep their dog safe and callm, and avoid negative incidents, such as a dog running away or acting aggressively out of fear. Acclimatise your dog to noises prior to the time that fireworks are bound to be heard. 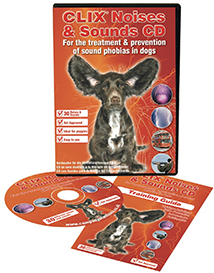 There are many noise CDs on the market which give you the opportunity to introduce your dog to a variety of potentially disturbing noises in a controlled manner and these can also help with a variety of other anxiety issues. Check out this CD from Amazon UK. Walk your dog before darkness falls as it may be some time before they feel it’s safe enough to go and relieve themselves. Make a safe den for your dog to retreat to if they feel scared. Alternatively, let your dog take refuge under furniture or inside cupboards and include an old, unwashed piece of your clothing so that your dog can smell your scent and feel safe and comfortable. Try to distract your dog from the noises outside by having the TV or the radio switched on slightly louder than usual. Try to act and behave as normal, as your dog will pick up on any strange behaviour and feel even more stressed. 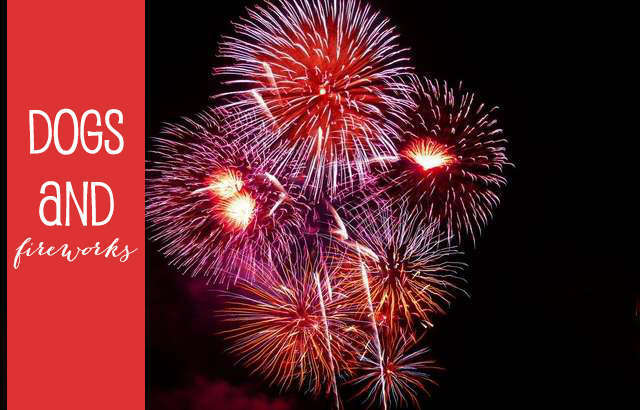 Check where and when firework displays are being held in your local area and ask your neighbours to get in touch if they are planning anything in their gardens. Before giving your dog any remedies to help him cope, first consult your vet and follow the manufacturer’s instructions. Once the fireworks start your dog is likely going to be too anxious to eat, so feed your dog early on these days . Close all doors and windows in your home and draw the curtains. This will block out most of the flashes of light as well as reduce the noise level of fireworks. Block off cat flaps to stop dogs and cats from escaping. If your dog comes to you for comfort, ensure that you give it to him/her. Keep a collar and ID tag on your dog, just in case they do accidentally escape. Make sure your dog is microchipped too. Take your dog to a firework display, they may be happier being with you, but will still, no doubt be very fearful. Excessive yawning and panting is a sure indication that your dog is stressed. Change routines more than necessary, as this can be stressful for many dogs. Forget to top up the water bowl. Anxious dogs pant more and get thirsty so will need more moisture. Assume your garden is escape proof. If your dog needs to go out to relieve himself, keep him on a lead just in case and stay close to him. Tell your dog off as this will only make your pet more distressed and fearful. It is vital to remember that it is natural for a dog to be scared of loud noises and unfamiliar sights and sounds. Try and tempt him out if he does retreat, as this may cause more stress, just allow him to find a safe place and be there as long as he needs.